Office management is generally studied through an undergraduate certificate or degree program. Many aspects of the modern company require strong management, including everyday operations. Although post-secondary education may not strictly be required, a bachelors degree in the field may be preferred for office managers. Certificate and degree programs in office management prepare students for careers in office administration and leadership. Office management programs - sometimes called office administration or office systems technology programs - are commonly offered as certificate, diploma and degree programs through colleges and universities. Students in these programs gain management and office technology skills that prepare them to carry out, organize and direct support operations in a variety of settings. Classes focus on principles of management and accounting, software applications and records management. Graduates of an office management program often have a combination of operational and organizational skills, which they can use in offices across a number of industries. Two common positions for graduates are office manager and executive secretary. 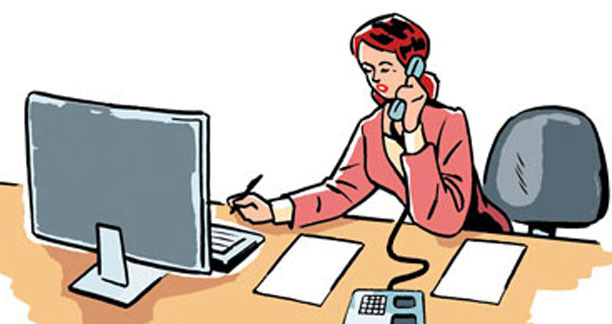 Office managers are tasked with keeping all office operations running smoothly. They may supervise clerical staff, inventory and order office supplies, ensure that all equipment is operational and coordinate all office activity. Office managers typically act as intermediaries between management and external vendors as well as between various departmental staff. They may additionally be responsible for tasks like accounting and payroll, hiring and firing employees or even data entry and reception. Office managers in smaller companies are likely to have the greatest range of responsibilities due to a fewer number of support staff. Executive secretaries provide many types of support to corporate executives and other high-ranking managers. Their duties are similar in nature to those carried out by traditional administrative assistants or secretaries, but executive secretaries do less clerical work. Instead, they may carry out such tasks as conducting research, preparing reports, creating spreadsheets and managing schedules. Executive secretaries may also be responsible for overseeing other administrative support employees. With additional or related coursework, graduates may find employment as medical or legal office managers and administrative assistants.